The world is full of software-defined radio (SDR), but HackRF One has a rather unique position – thanks to its vast maximum bandwidth of 20 MHz. With an up-converter, this combination covers more than 70 percent of the whole HF range from 3 to 30 MHz. Even better: with proper software you can record and play this enormous band! However, this stunning bandwidth is achieved by a moderate resolution of 8 bit, resulting in a dynamic range of just nearly 50 dB. Or the half of SDRs like Elad’s FDM-S2. Anyway. I wanted to know in practice what you can actually do with such a set at a budget price plus mostly free software. The results surprised even me: Properly used, this combination convinced as a quite decent performer on HF! The world map above shows some of the stations received with the set (see insert bottom left) to test its performance. I laid down my experiences and recommendations for best reception in a paper of 17 multi-media pages full of examples – including 55 screenshots, 21 audio clips and one video. The PDF shows how to optimize reception of broadcast, utility and amateur radio stations. It covers many examples on how to analyze recordings, to decode data transmission with free software plus live decoding of 14 channels in parallel. It also gives some examples of combining HF reception with the internet, e.g. 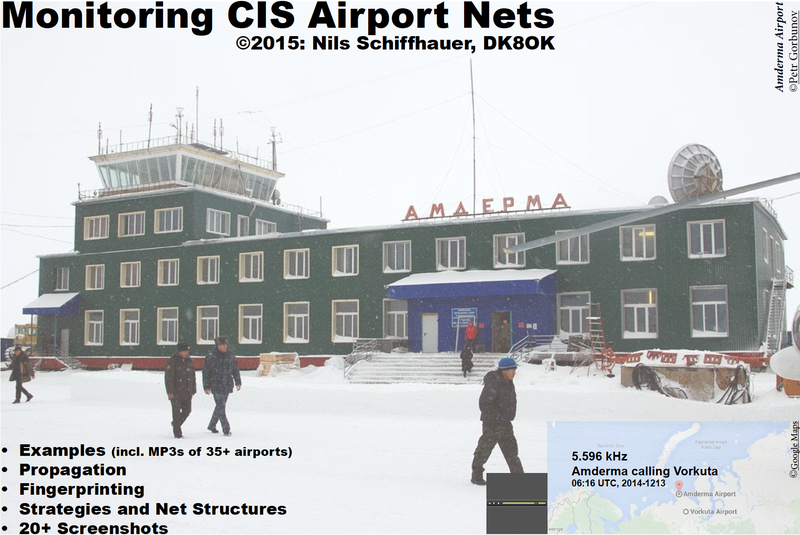 regarding the reception of signals from airplanes (ARINC, HFDL) and vessels (GMDSS). My experiences really left me enthusiastic about this set. You may share this enthusiasm and download the PDF of 43 MB here. Save it on your hard disk or USB stick, and open it with a most recent Adobe Reader. Otherwise, the multimedia content will not work.